Tax season has nearly come and gone – but the savvy consumer will not let their tax refund disappear as quickly. As individuals navigate the changing landscape to the tax code, they may be wondering how to make the most out of their refunds. Regardless of how much more taxpayers received in 2019, there are a plethora of options on how to maximize this year’s refund. I put together five smart ways to do just that. Let 2019 be the year of debt-free spending. 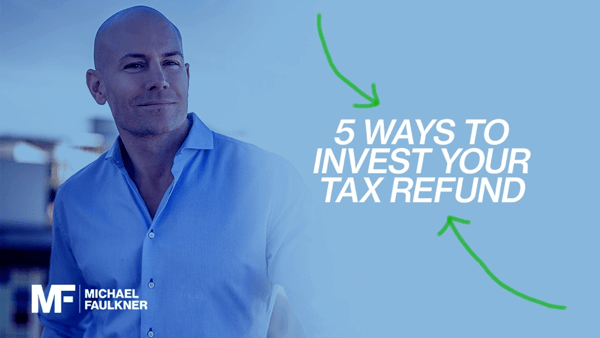 Using your refund to repay any outstanding debt will not only give you some financial flexibility, but will allow you to build up your credit and financial standing for a bigger move – like purchasing a home. Remember, paying off debt today is a long-term strategy that never fails. In this rapidly moving world, wouldn’t it be nice to save time and money? Well, you can by investing your tax refund on a product or service that accomplishes a combination of the two. More time, more money means BIGGER possibilities today and for the future. Up your 401(k) contributions. This is possible by making everyday purchases with your tax refund, which will offset some of your income when you increase your contribution. Remember, your company may even match your 1 or 2 percentage increase. Just as tax season comes to a close, another exciting time is upon us. The real estate market gets going around the warmer months. So, if you’re thinking about purchasing a home, save your tax refund to increase your down payment or to have cash ready for costs associated with buying a home. Consider opening a credit card with benefits. As long you pay it off each month (you’ll have extra cash to do it), this investment will allow you to enjoy some pretty nice perks. Don’t bemoan that annual fee – instead, think about the handsome discount on travel or other lifestyle rewards. It’s money well invested, while you boost your credit score with on-time payments. Remember, making wise financial investments over the long-term will help set you up for a secure financial future.